The first Oculus Connect was great fun! I met new people and talked about our favorite subject. Ironically, travelling to California allowed me to meet more VR people here in Toronto. There were some great talks by icons of the game industry. It wasn’t possible to attend all sessions as many went on simultaneously. I look forward to watching the videos. 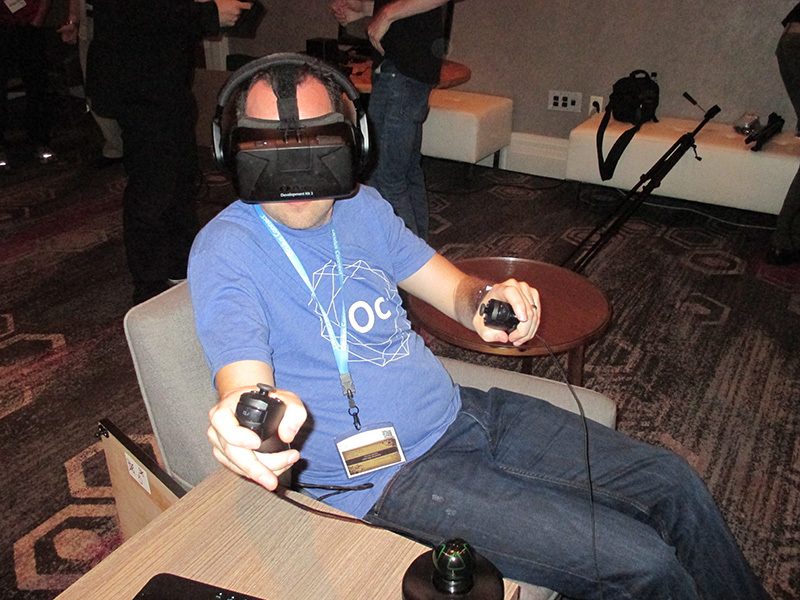 On Saturday night, I gave a demo of Here Come The Dead to the Oculus Developer Relations group. I had rewritten the demo using UE4 during a 3 week crunch to get it ready for DK2. As I was the last to demo for the night, I was able to make use of the conference hardware to show off my demo level to some other attendees until they kicked us out. 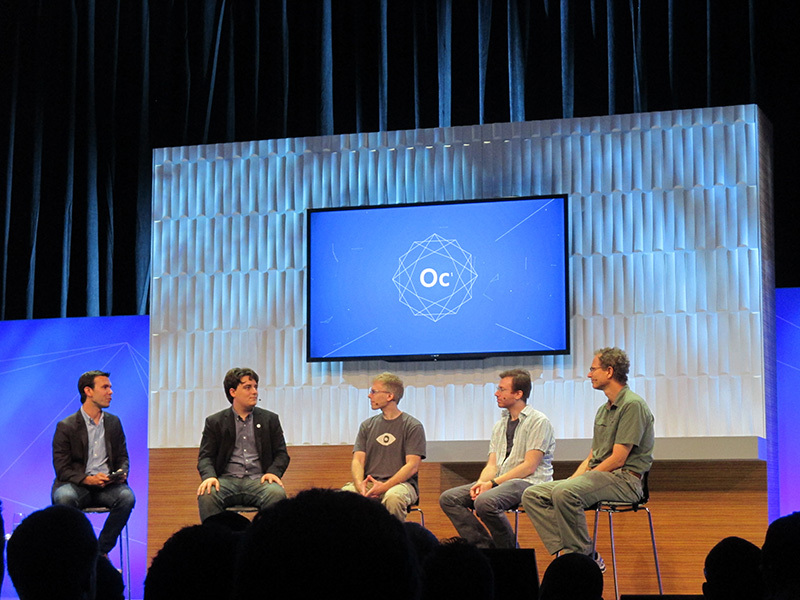 Oculus Connect 1 was a great opportunity to talk with like-minded people, and I really feel energized about continuing work on my games. 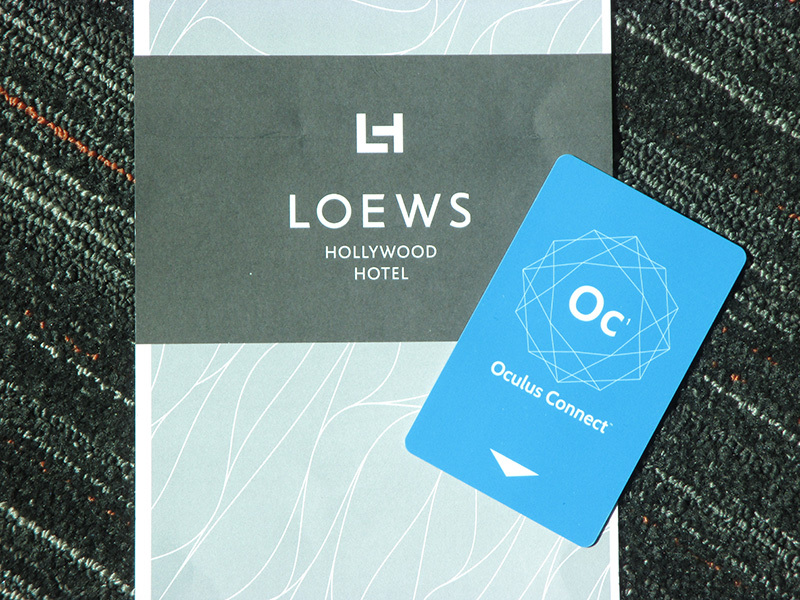 I look forward to the next Oculus Connect! David Wyand, Gnometech’s founder, is attending Oculus Connect 1 starting Friday, September 19. Each day he will be wearing a Here Come the Dead shirt, so be sure to stop him and say “Hi!”.